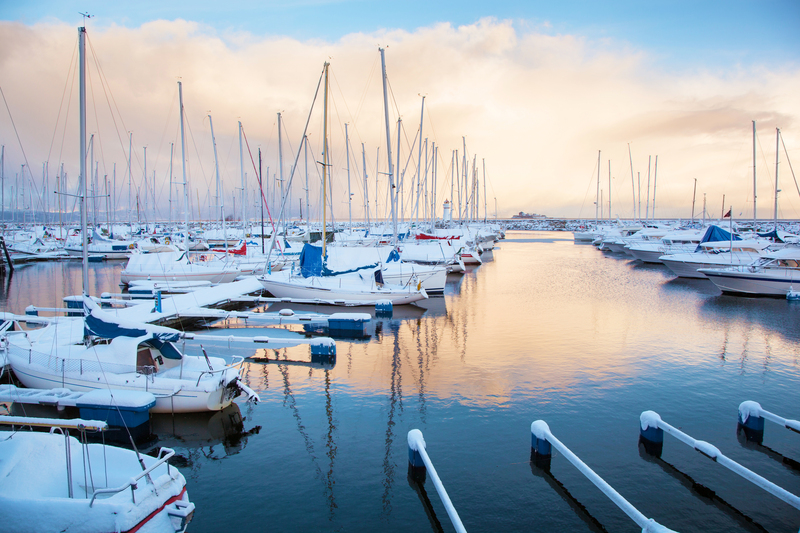 As the warm weather begins to fade away, it’s time to prepare to winterize your boat. This isn’t the most exciting chore, but it is an important one you shouldn’t neglect. As you eagerly await for boating season to come back around, you’ll want to know that your boat is stored safely and properly in the meantime. When your boat sits for a long period of time with no activity, the wear and tear process happens more quickly. You want to main its quality, so it’s critical that you learn how to winterize your boat. Here at Long Level Marina, we’re here to help. Give us a call or stop by our dealership in Wrightsville, Pennsylvania near Lancaster and York today! Before you think about storing your boat, you need to clean it first. You’ll want to wash both the exterior and interior. Your goal should be to remove as much grime, salt, and algae as you can. It’s only natural for these things to build up during boating season. Remember the small spots, like crevices and between the seats. After you’re finished, allow time for it to dry prior to waxing. While you may think waxing is optional, it’s an important step if you’re storing your boat outside. Once your boat is clean, there are some key maintenance steps you’ll need to follow as you winterize your boat. Start by changing the oil filter, flush it out, and add fresh oil. Don’t forget that you’ll want to use antifreeze in your cooling system. This is crucial if you live in an area that experiences temperatures that drop well below freezing. Flush your system with a fresh water rinse and circulate antifreeze into the cooling system until it exits out that exhaust. Another step you’ll want to remember is using fogging oil to prevent rust and corrosion on the moving parts. Spray the fogging oil directly into the carburetors, fuel compartments, and cylinders. The resulting residue will protect the boat’s moving parts during the winter.months. Last but not least, use a fuel stabilizer to protect the tank from freezing condensation. This also confirms your fuel will be ready to use when you remove your boat from storage. You can prepare to put your boat in storage now that it’s fully clean and you’ve performed the necessary maintenance. Be sure to remove the battery and store it in a cool, dry place where it can be hooked up to a trickle charger. If you don’t own one, you can simply charge it regularly once a month. Wherever it is you plan to store your boat, you’ll want to get a breathable boat cover to protect it from dust and grime. When storing your vessel outdoors, make sure it’s applied nice and tight to protect it from snow, rain, and other elements. You’re officially ready to winterize your boat. For more information or to check out our latest inventory, be sure to visit us at Long Level Marine today! Our dealership is in Wrightsville, Pennsylvania near Lancaster and York. We’re proud to offers, parts, service, rentals, and Yeti coolers for sale at our location.